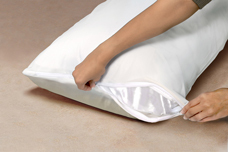 Learn how Mattress Safe® products protect you and your mattress from bed bugs. Bed bug infestations are a major problem that has increased in occurrence over the past decade. The monetary and psychological costs arising from these pests can cause extreme financial burdens to home owners and businesses alike. Mattress and box spring encasements are very important weapons to protect your bedding against bed bugs or during a bed bug treatment program. 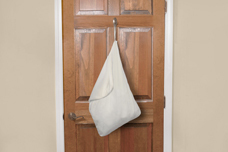 Help to eliminate bed bug hiding spots. 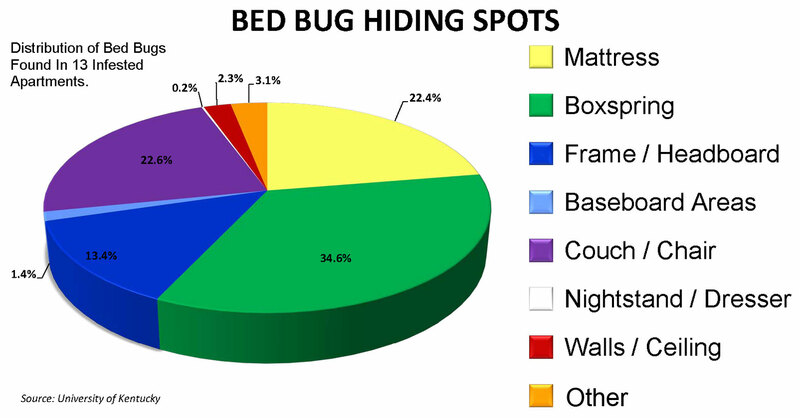 Address early detection of bed bug infestation. 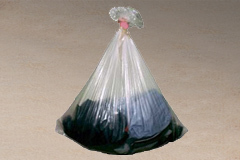 Protect and recover your expensive bedding investment. Stop the spreading of bed bugs. The use of mattress encasements eliminates the need to apply any chemical treatment to your mattress. While it is highly discouraged, some bed bug victims are applying chemical pesticides directly to their mattress in order to rid their bed of bed bugs. Such close contact to these chemicals can lead to health problems. Mattress encasements prevent initial infestation in mattress and box springs. A bed bug certified encasement creates a barrier between the mattress and person sleeping on it. 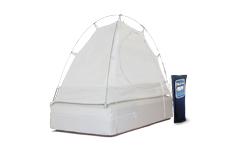 The encasement will not allow bed bugs to enter or escape the encasement. Used as a prevention tool or during a treatment program, bed bug certified mattress encasements are safe, eco-friendly, and provide non chemical protection. Start with a mattress encasement which will completely cover and protect your entire mattress. A mattress encasement will act as a barrier, blocking out allergens, bed bugs, dust mites, and bacteria. This provides a safer and more sanitary sleeping area and helps to eliminate millions of these particles from living in your home. Keeping your bedding clean and encasing your pillows and box spring are also ways to help reduce the buildup of impurities. Mattress & box spring encasements eliminate the primary hiding spots of bed beds. Mattress Safe® provides a full line of bed bug certified products. Click on the images below to learn how Mattress Safe® products help protect you from bed bugs . 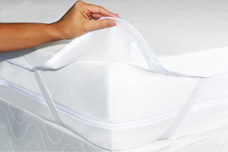 For more information, or to order these products, contact your Mattress Safe® service provider. Click here to see a list of bed bug product distributors.